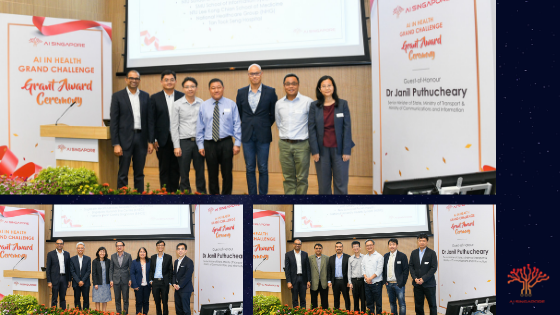 Our Pioneer Batch of 13 young and promising talents have ended their 9-month apprenticeship journey with AI Singapore. The simple graduation ceremony was held on 2nd Feb at i4.0 and it was attended by family & friends, Project Sponsors, PIs and reps from IMDA and AISG who were present to support and congratulate them. It was indeed a very special day for them. From AI “Ah-pprentices to Engineers”, they will soon begin a new chapter of their professional lives. All the apprentices have or are in the process of taking on AI roles/jobs after this. 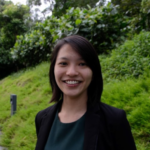 “When we first thought of the AI Apprenticeship Programme back in July 2017, we were not sure if we could pull it off and get the support we needed as the AI Apprenticeship Programme was not part of the original AI Singapore programme approved. 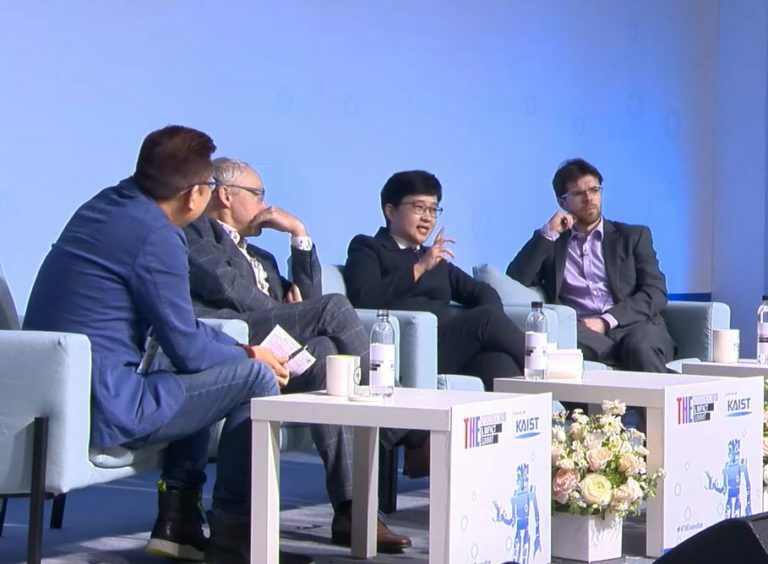 We conceived the AIAP to solve a problem AI Singapore faced ourselves… which is the lack of AI engineers to work on our projects. As much as we tried to hire, it was not easy to find Singaporean engineers and developers trained in AI. It also did not help that we were not able to match the salaries of Google, Facebook, Alibaba and the big boys. So I asked my team if we could train Singaporeans who are keen in AI and are already learning AI on their own but perhaps did not have an opportunity to work on real world AI problems. 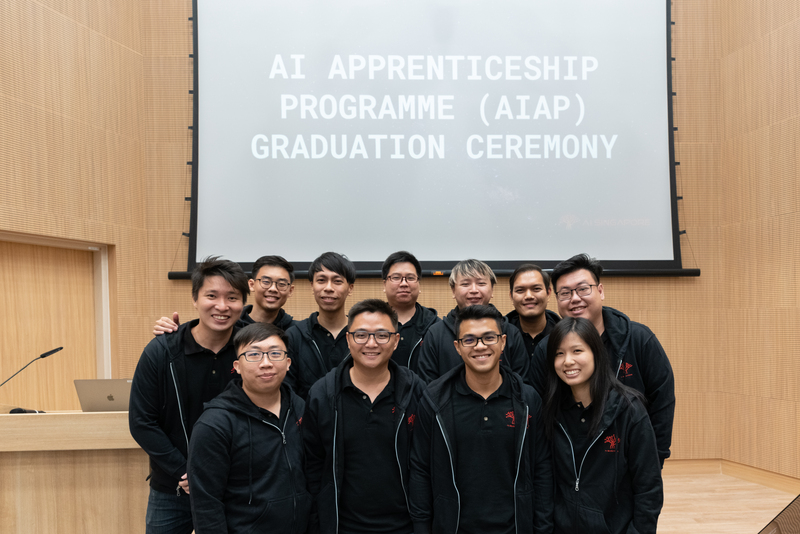 Over the last 9 months, the apprentices, who came into AI despite their diverse backgrounds, learnt a lot more about AI especially through the 100E projects they were assigned to. Almost all of them went through at least one end-to-end cycle of an AI project – from problem formulation, modelling, solution engineering to MVP deployment. We also saw the bond they had built amongst themselves – this, we believe is the most important takeaway from the programme. It was also a fulfilling experience for the AISG mentors who, in return, had learnt much from the apprentices through the different interactions and discussions. The AIAP programme has been made possible with the partnership from IMDA, in particular the TeSA team, coupled with strong support from 100E project sponsors which provided interesting and challenging AI problem statements for the apprentices to work with them & PIs on. 1 batch down…9 more batches to go…We will continue to grow our own timber. PrevPreviousAMA #9 Questions & Answers.